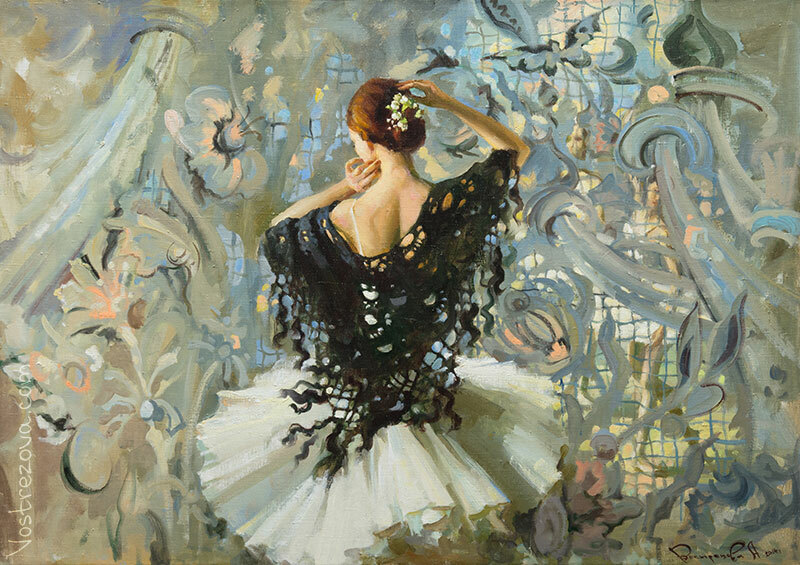 Anastasia Vostrezova lives and works in Saint Petersburg, Russia. 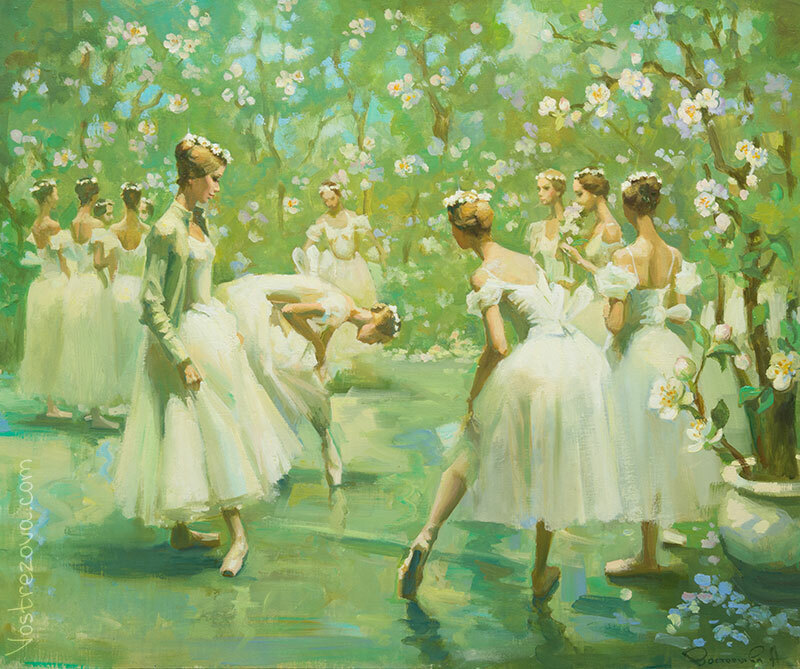 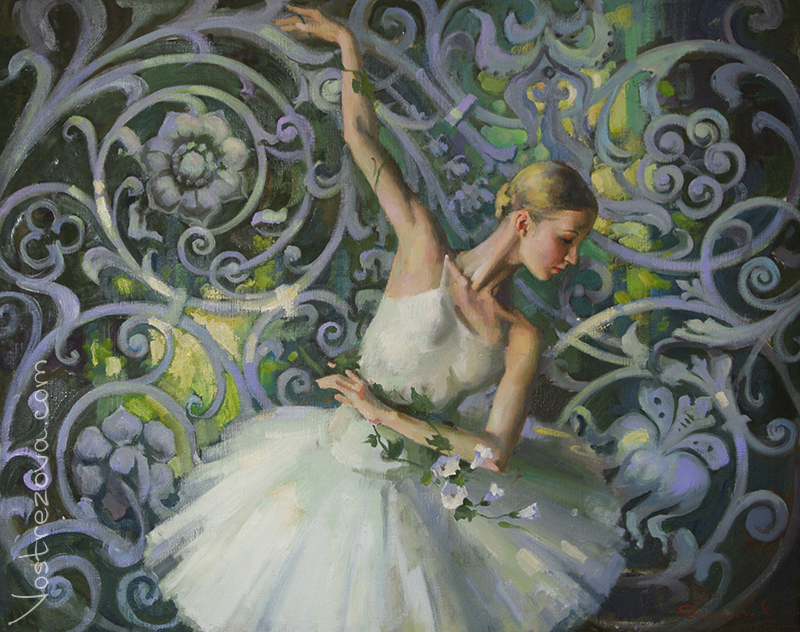 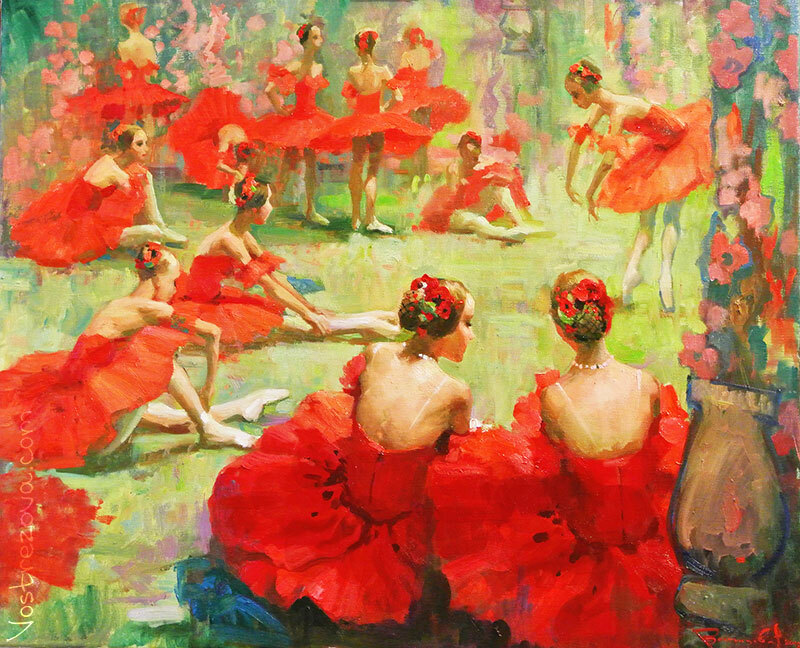 The artist has dedicated her work to ballet. 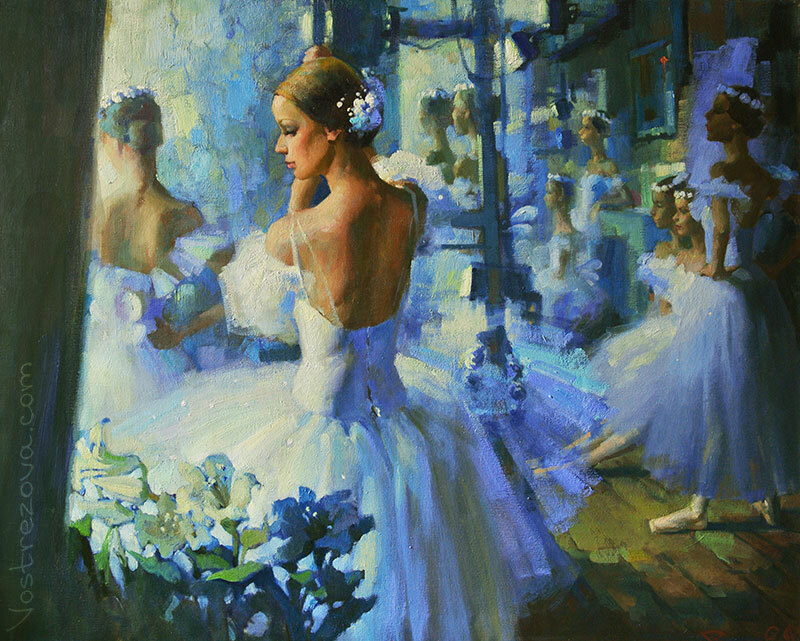 Ballet and its backstage are full of magic, lightness and grace. 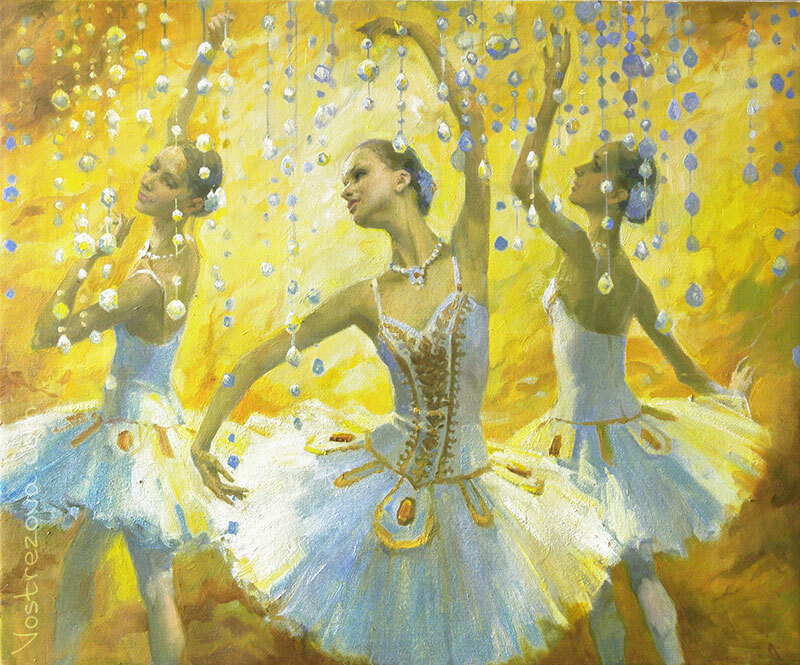 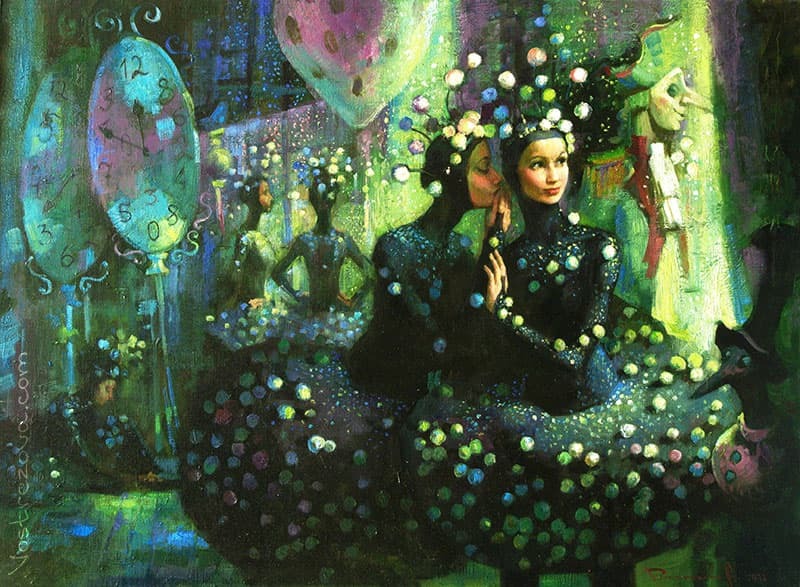 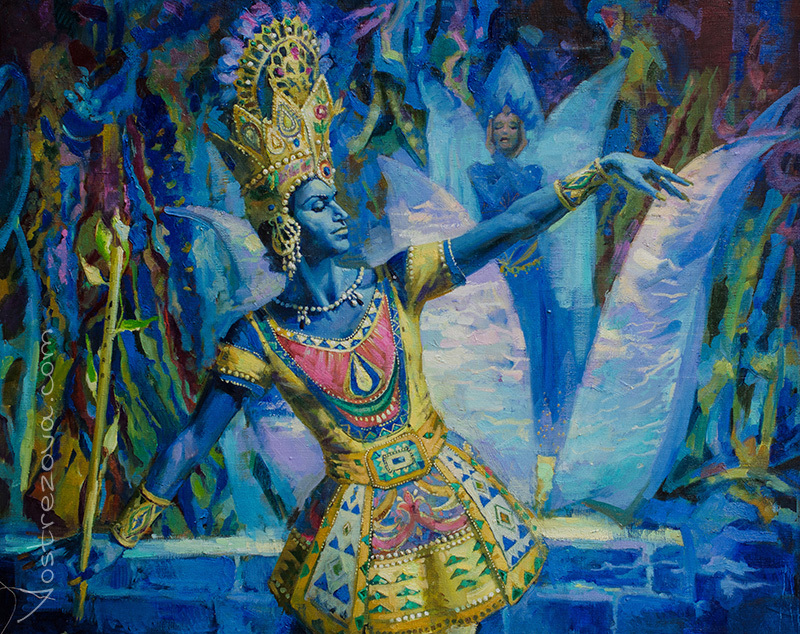 That’s why you can see in the Anastasia’s paintings characteristic scenes from different plays of various theatres.